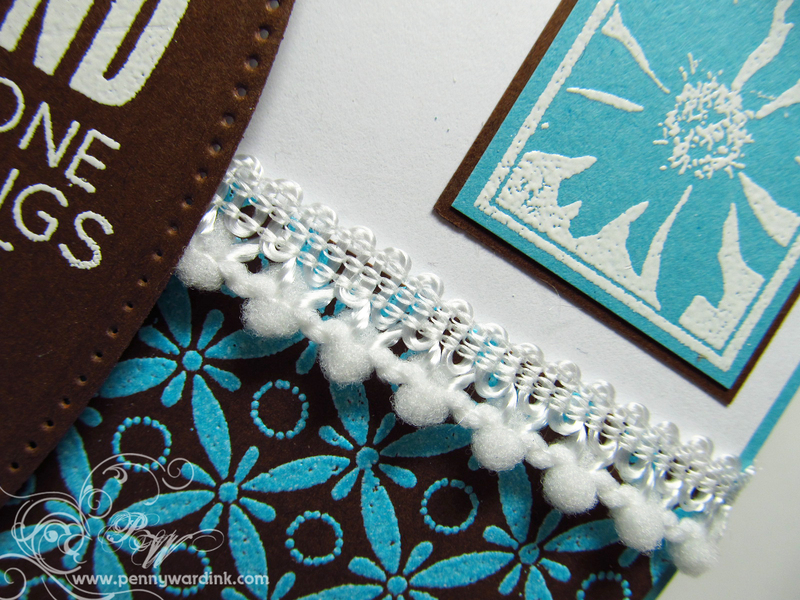 How much are you loving this aqua blue embossing powder on Chocolate Brown card stock? I guess this is my new favorite color combo!!! Flowers were stamped and heat embossed with white onto Aqua Blue card stock and matted with Chocolate Brown. 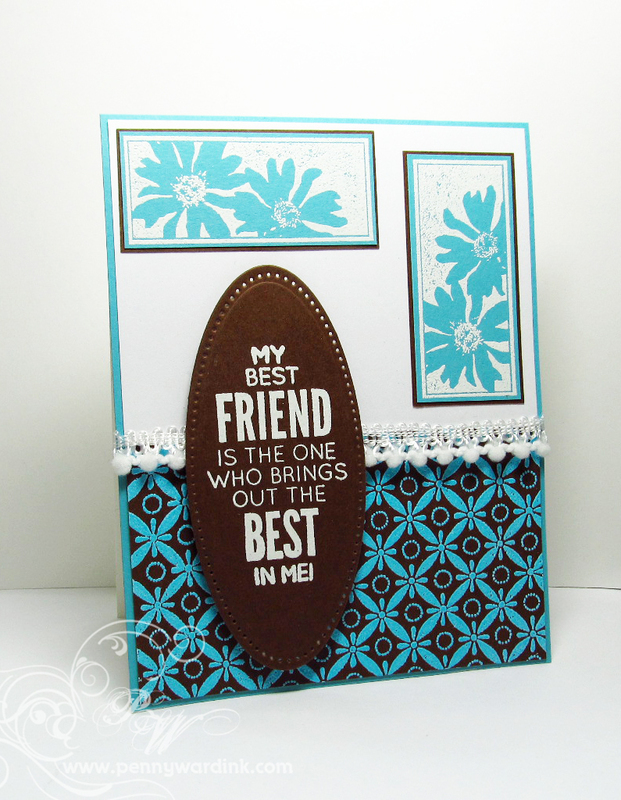 Die cut around sentiment, and layered over the cutest pom pom ribbon. What an awesome design and color combo! I almost didn't recognize that stamp!! It is a beauty!! Think I will get that stamp out and play!! Fantastic design and sentiment. Love the color combo too. 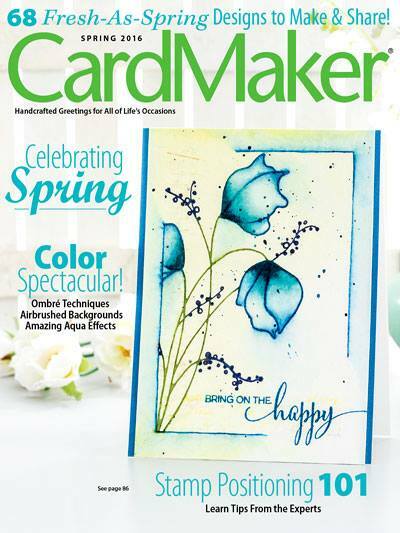 Beautiful color combo and layout! Love the tiny pompom ribbon as a perfect accent! Gorgeous color combo & what an incredible design, Penny! Love your style & love this card!